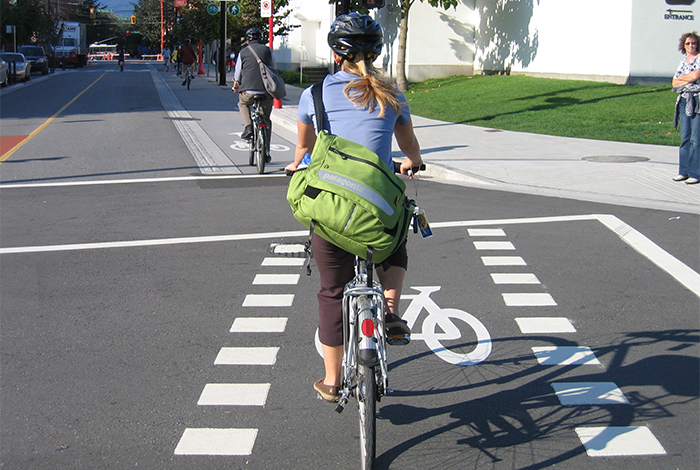 Bicycle lane markings are used to demarcate bicycle lanes from adjacent motorist traffic. 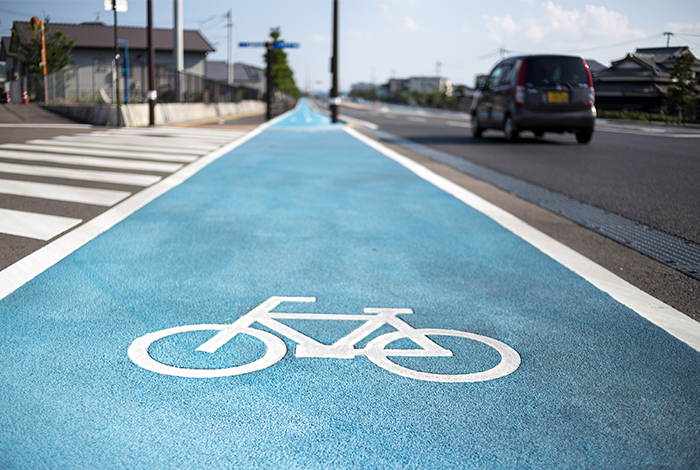 They are mostly used in built-up / urban areas where space is scarce and motorised and bicycle traffic have to be routed alongside each other. 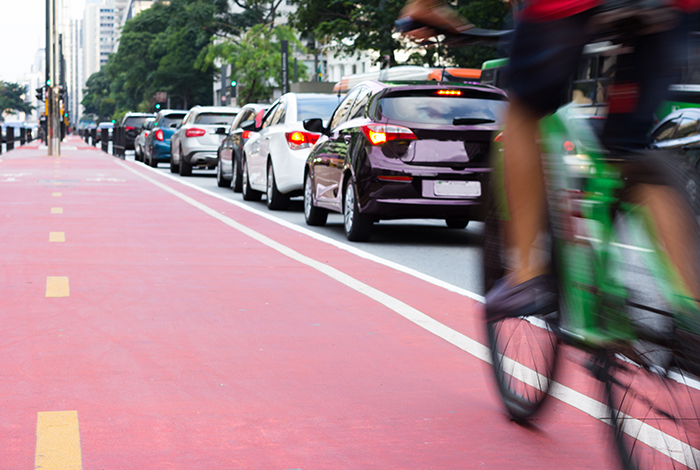 A distinct colour-based separation protects cyclists, hence the signal colour red is often the colour of choice. 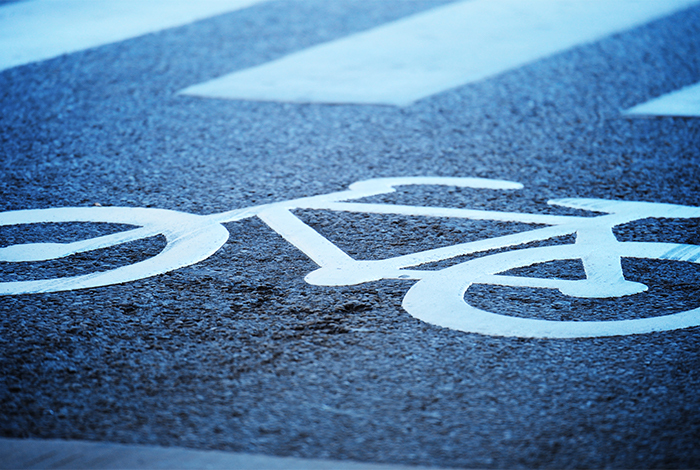 Particular attention should be paid to the anti-skid properties of the surface. 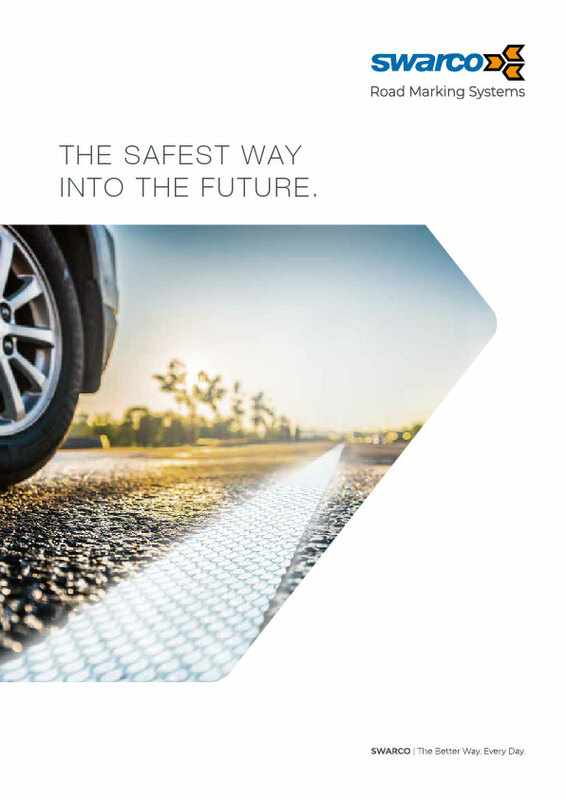 Depending on the marking material used, anti-skid additives (e.g. 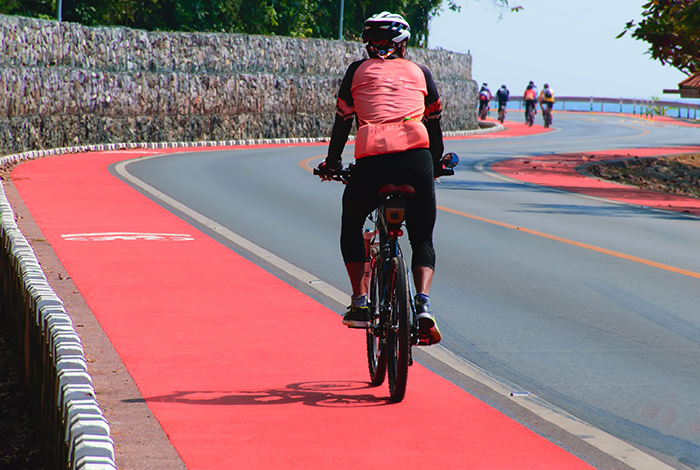 quartz sand, coloured sand, glass granulate) will either be added during production or as drop-on material. 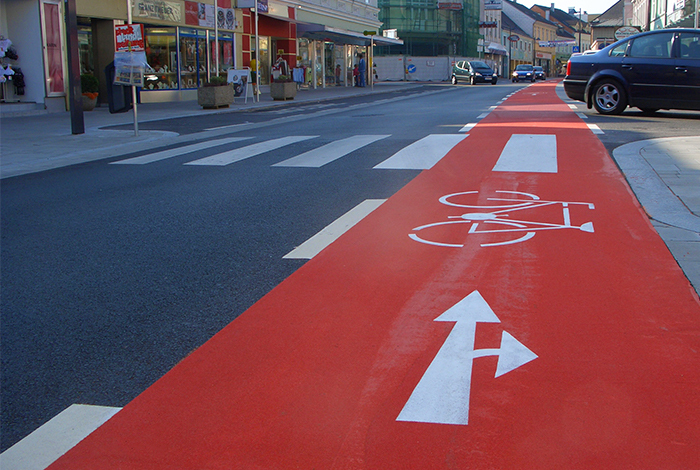 We offer a wide range of products suitable for bicycle lanes. 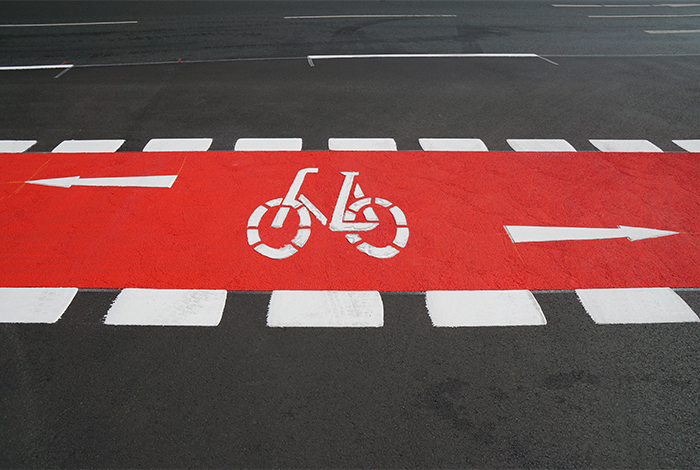 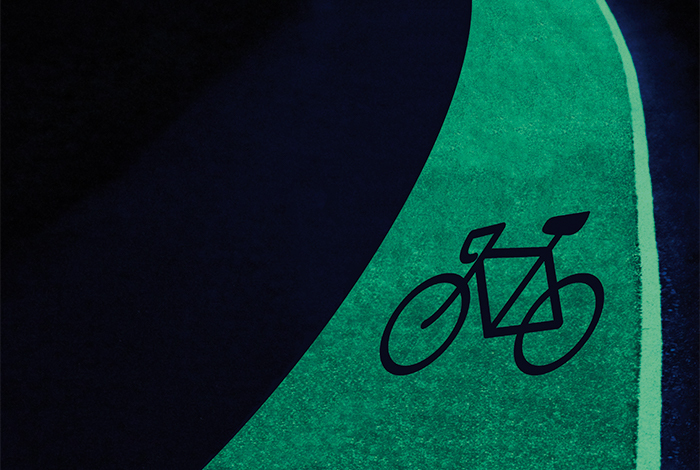 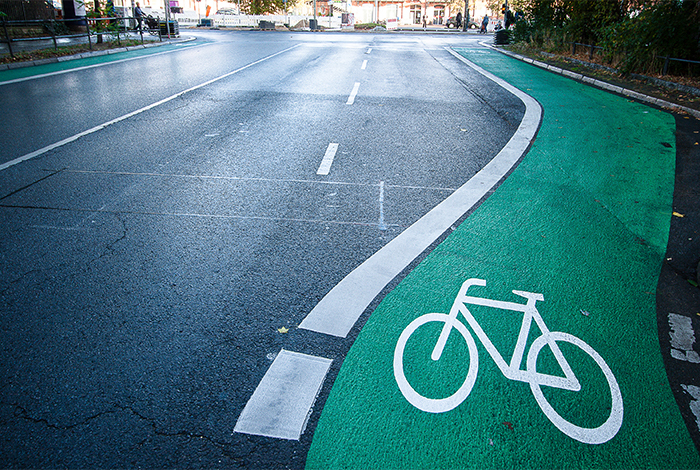 Our bicycle lane marking materials are elastic and are not only ideal for bicycle path markings but for any large area markings.